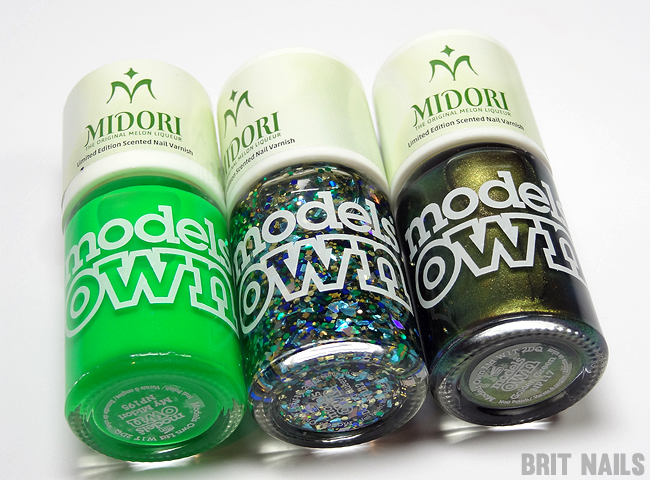 Models Own have partnered with Midori to release this cute trio of scented polishes, and I have swatches to show you today! 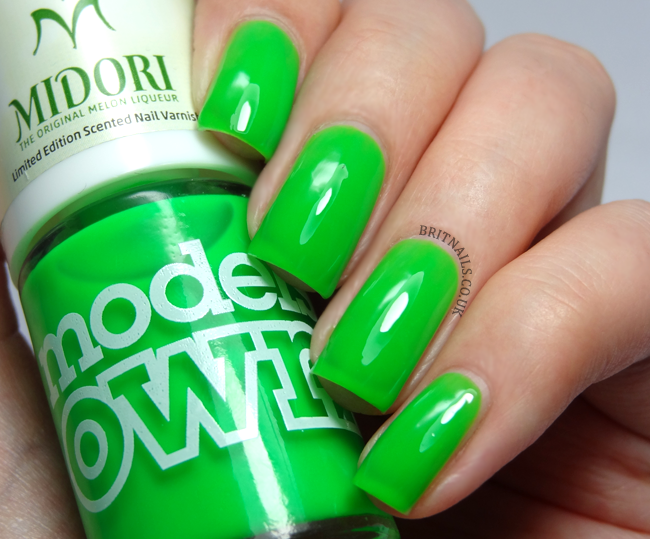 Midori (which means "green" in Japanese!) is a bright green, melon flavoured liqueur, often used for making cocktails (No lies here, I LOVE a cocktail or 2!) 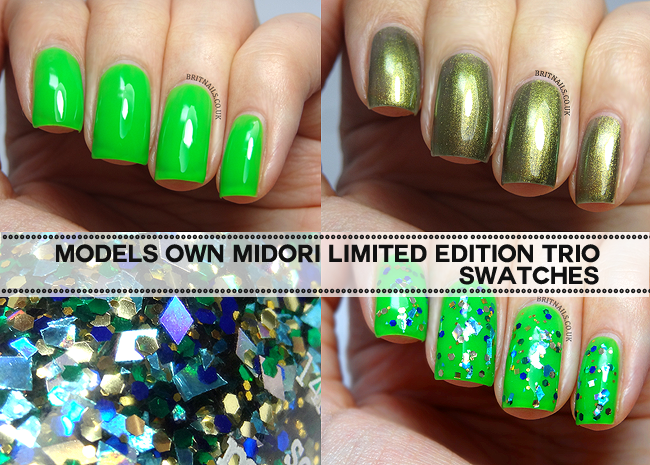 and the 3 polishes in this set are inspired by it. They're all melon scented, and I found the smell quite refreshing rather than over powering. It lasted until the next day too! My Midori is a bright green jelly and very sheer which was a bit disappointing to me, but the colour is so bright and juicy I think I can forgive. I used 4 coats here in order to cover up any visible nail line as best I could. This one has the strongest melon scent out of the three! 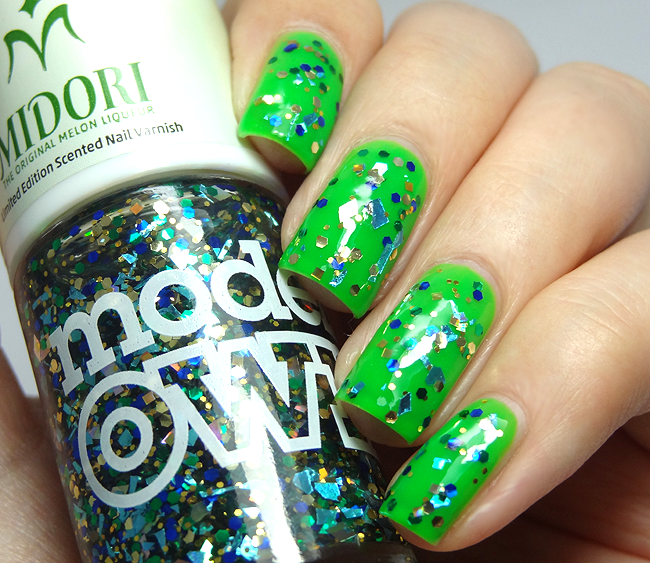 Dancing Queen is a glitter topper with a mix of blue, gold and green glitters. There's hex glitters, irregular shards and diamonds! You may need to do a bit of placement with this but it looks great when smoothed out with a top coat. 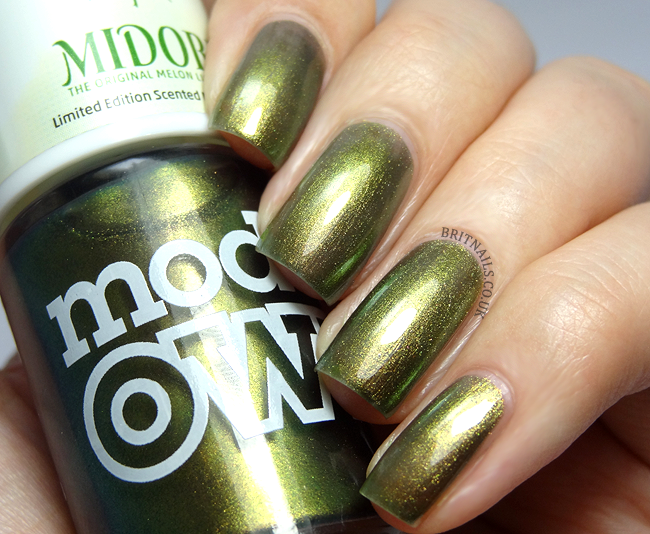 This is one coat of Dancing Queen over My Midori. Oops... 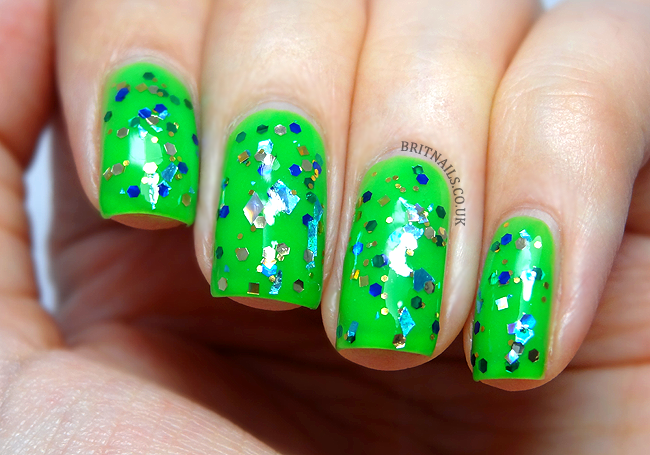 I don't like this polishes not because they are nice but because I don't like green as a colour in anything: nail polishes, eye shadows, clothes or anything, I just don't like green... sorry!